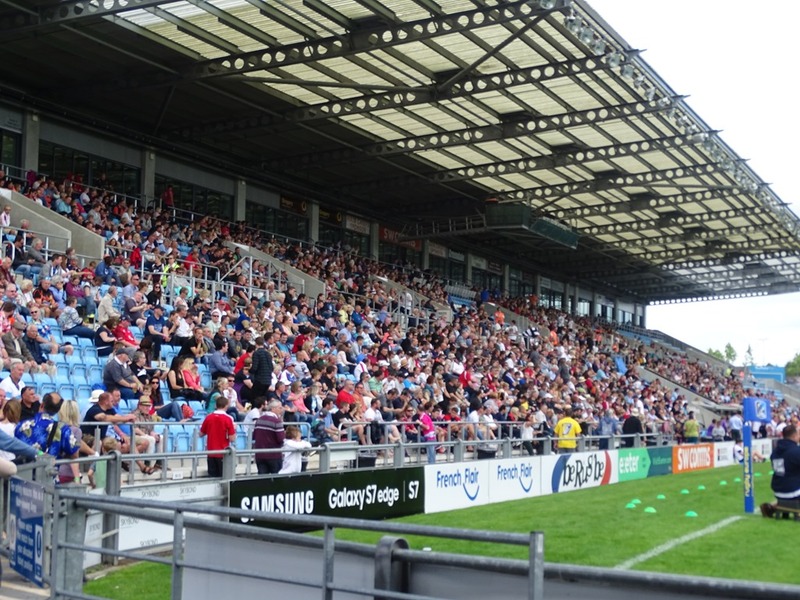 Last weekend I travelled to Exeter for the second round of the Rugby Europe Grand Prix Sevens. I am a great fan of sevens for its speed and unpredictability and I have travelled to tournaments in England, Europe and Africa, but the reason I went to the West Country was to meet up with my Belgian friend Jan Coupé. One of Jan’s sons was playing for Belgium in the tournament although both his boys have represented their country in the past. Jan is a former President of the Belgian Rugby Union and has recently been re-elected to the Board, so I saw this as an opportunity to talk about the Unity Project where Eastern Counties is working with Belgium to help grow the game. Things have stalled since our last visit to Brussels in March. It was my first visit to Sandy Park and I was impressed by the facilities. It has a capacity of 12,500 and I would say that between 3,000 and 4,000 came to watch on each day of the two-day tournament. This was a higher number than the previous season and a huge improvement on the year before when the English leg was held at Sale’s ground in Manchester. There the crowd was in the hundreds rather than thousands. There were a number of Rugby Europe committee men at Exeter and they were happy that the spectators numbers were growing. 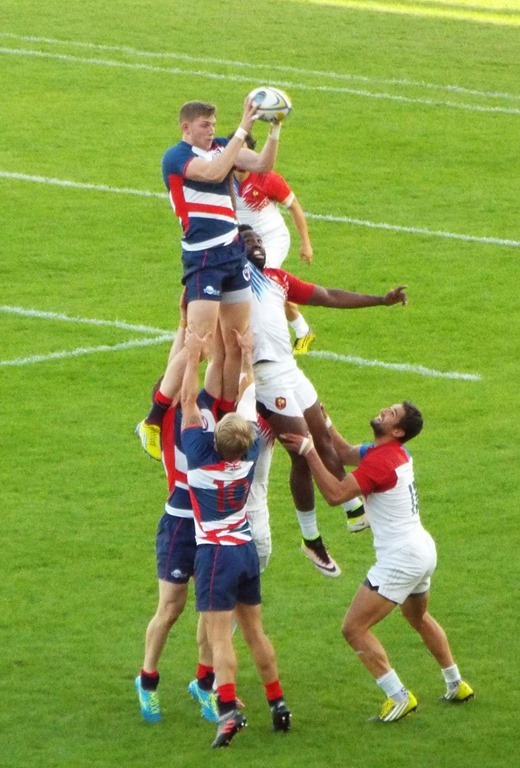 An extra attraction was that this was one of the trial tournaments for the GB Sevens Olympic squad and there were two teams entered, GB Lions and GB Royals, taking the places of the England and Wales teams. It was difficult to say whether one team was meant to be stronger than the other with England playmakers Tom Mitchell and Dan Bibby with speedsters Dan Norton and Marcus Watson (Anthony’s brother) in the Lions side, but the hugely important James Rodwell was in the Royals squad along with Welshmen Luke Morgan and Luke Treharne. 12 teams were taking part split into three groups of four, so on Day One each team played three games to decide their ranking for the knockout stages. Both GB sides won all their matches to comfortably reach the quarter finals. Between games I was networking and socialising in equal measure, both activities accompanied by several pints of the very good Otter Bitter which is brewed only a few miles away. On Day Two I arrived a bit earlier to have a look around the stadium which was well served for bars and had a very well stocked shop with all sorts of paraphernalia with Exeter Chiefs logos. No doubt this was the reason for the Wild West theme at the Sevens with a number of cowboys and Indians in the crowd and music such as The Good, The Bad and The Ugly and Cotton Eye Joe being played between games. The main opposition for the GB teams was expected to come from France and Spain, both of whom had qualified as one of 12 countries in the Olympic competition, but it was Russia that proved to be the biggest stumbling block. The Lions met the Bears in their quarter final and although they had plenty of possession, GP made too many uncharacteristic mistakes and went down 5-7. This put the Lions in the Plate competition which they won with comfortable victories over Georgia in the semi-final and Germany in the final. The Royals had the reverse fixtures to the Kings playing first Georgia in the quarters before coming up again Russia in the semis. This was an equally close match but once they had taken the lead, GB closed out the game to win 12-10. This meant facing France in the final in what proved to be the match of the tournament. 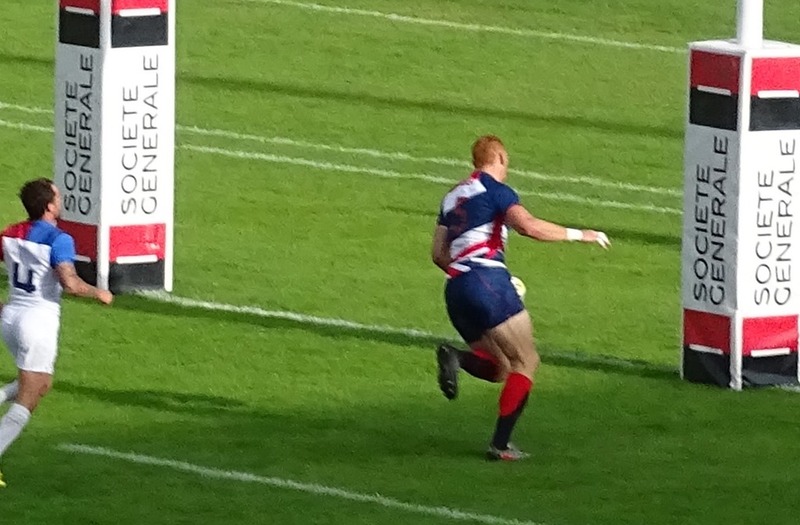 France took an early 12-0 lead but the inspirational Rodwell led the comeback and GP ran out 33-17 winners. GB coach Simon Amor will have one more tournament next weekend in Gdansk, Poland before he announces the squad that will compete in Rio.